The Technology Tours are a full-day of tours that take you inside industrial facilities and research centres that are part of the bioeconomy value chain. Participants will see equipment in action and learn about ongoing projects based in New Brunswick. 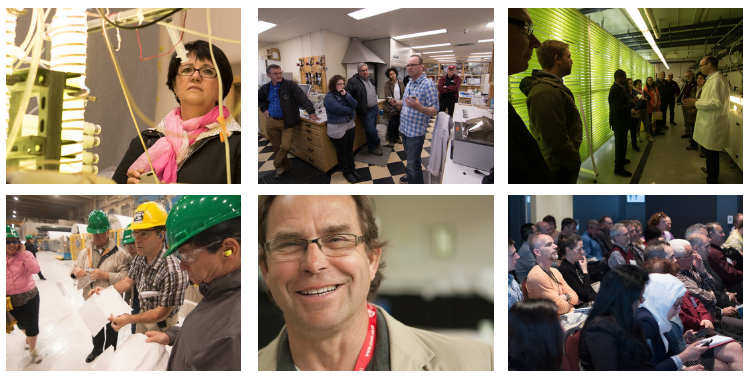 The Technology Tours are a vehicle to spark discussion and new projects within Atlantic Canada’s biorefining and bioprocessing industries. These groups represent a full spectrum of players from all aspects of the bioeconomy value chain, from natural resource management to commercialized bio-products. The first day of the 2017 Atlantic Biorefinery Conference (June 7th – 9th), will be a full day of visits to 6 sites across New Brunswick. Conference registrants have a choice of 2 tours. Click here to learn more about the Technology Tours. BioNB is co-hosts the 2017 Atlantic Biorefinery Conference in partnership with Springboard Atlantic and the Biorefinery Technology Scale-Up Centre at CCNB. BIOCON is the flagship event for showcasing and accelerating high-impact projects within Atlantic Canada’s biorefining industry. This 3-day conference is filled with Technology Tours, meaningful networking, and presentations on real technologies and big ideas. You can learn more about the Conference here, or contact the organizing team at info@atlanticbiorefineryconference.ca.